If you’ve ever worked in sales you might have had the experience where you met the perfect person, at the perfect time, looking for your exact solution. They did their research, were a decision maker, and were ready to pull the trigger. Also known as the perfect sale. But unfortunately not all sales calls, demos, and meetings go this way. In fact, there are a number of potential problems which can arise when you speak to a prospective customer. It could be a budget issue, a lack of interest, insufficient decision-making authority – the list goes on and on. What if there was a way to determine which of your leads were the best leads before asking if they want to speak to a sales rep? And what if you could systematically categorize those leads in order to increase efficiency and have your sales team close more deals? There is a way, and it’s through a process called lead scoring. If you’re interested in finding out how that works, then we’ve broken down the entire process for you in this article. 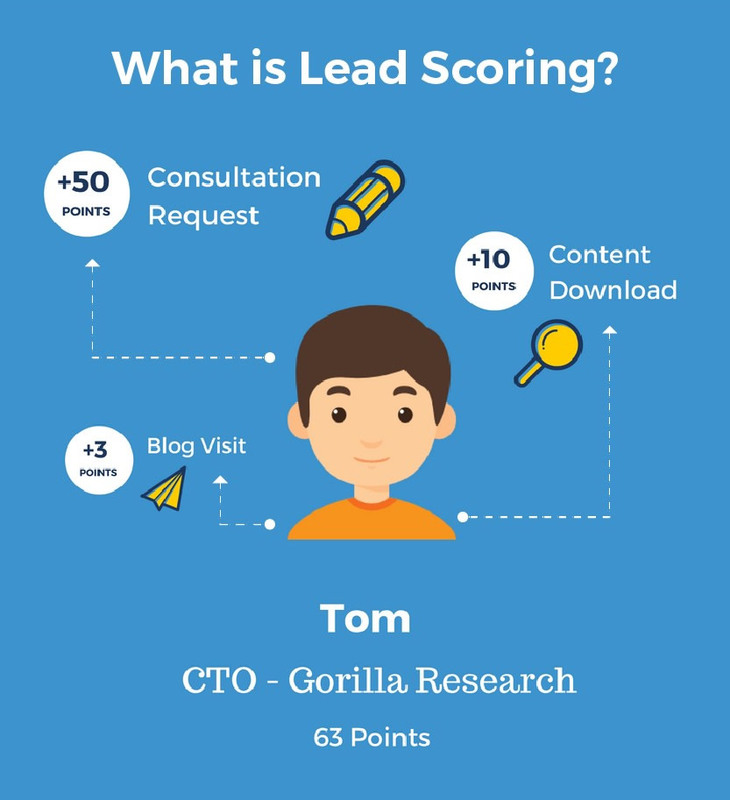 Lead scoring is the process of assigning a numeric value to each of your leads depending on their behavior and personal information that indicates a willingness and ability to buy. For example, assigning +25 points every time someone visits your pricing page, or +50 points for anyone that converts on a C-level title. But since the idea of an “ideal customer” differs from business to business, the way in which leads are scored will be specific to your company. That being said, there are some best practices which can be followed for setting up a lead scoring system, and some quick tips that can help you maximize the effectiveness of your lead scoring process. What to consider before lead scoring? Lead scoring, while useful, isn’t right for all businesses. Businesses who have problems generating enough qualified leads will not need lead scoring. Lead scoring is designed to help you prioritize leads to focus on, particularly when there’s an overabundance of potential leads and not enough resources to nurture or talk to them all. If your business is having a problem with lead quantity, then I’d recommend looking at finding ways to increase your website traffic, followed by optimizations to landing pages, popups and forms. For more tips on how to generate leads, check out over 1000+ lead generation strategies. Personal information consists of things like location, gender, age, and a number of others. If you’re familiar with ad targeting in Facebook, then these are the same factors that I’m referring to. Personal information can also consist of the employment data leads within their organization. This is important for B2B companies and can include information like job title, department, number of employees, etc. Behavior focuses on the specific actions that a user takes which indicates how ready they are to buy. This can include things like website views, content downloads, webinar attendance and email engagements. Both personal information and behavior are used together to assign points to your most buyer-ready leads. Now you might be thinking, how do you know how many points to assign for each action? The process of lead scoring itself is not hard, but developing a framework for assigning values can be. But this part shouldn’t be a mystery. In fact there’s already a wealth of data on what information and behavior has the highest correlation with purchasing intent. And that’s from your current customers. By auditing your pre-existing customer base and taking stock of what specific demographics and behaviors are most closely tied with upgrades and conversions, you’ll be able to get a better sense of how to start awarding points. For example, many customers that we’ve worked with have found that specific bottom-of-the-funnel conversions tend to foreshadow product upgrades and free trial sign ups. Because of this, we then begin to assign higher values for each of these events. We then backtrack and begin to award points based on middle-of-funnel and top-of-funnel content, which do not as closely correlate with conversion. In this case, we award a lesser number of points for every top-of-funnel blogpost read, and slightly more points for every middle-of-funnel content piece engaged with. For a breakdown of specific scoring based on email engagement and website page views, see my article The Complete Guide to Lead Scoring. While most of lead scoring is based around scoring your leads properly, there’s no point in scoring a lead if you never use that information to take action. Once your leads reach a certain lead score, automatically trigger a follow-up email requesting a consultation or sales call. You can also take this opportunity to send a free trial offer, or anything else that you think engaged users might be interested in at this point in their buyer’s journey. 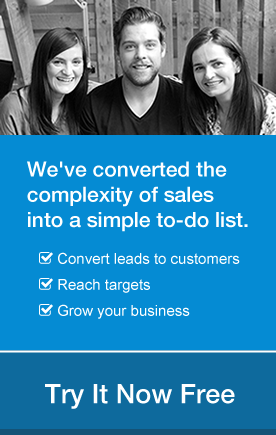 Use lead scoring to segment your leads by adding leads with the highest scores to a separate “hot list”. This can be done using a smart list on most marketing automation platforms which pulls in leads with scores over a certain value. You can then trigger different marketing automation actions for users of this list. Think things like customized popups, content offers, and email follow-ups. Let your sales team know when leads are getting ready to buy by triggering an internal email every time a lead meets a certain lead score amount. For example, send an email containing the email and contact information of a lead to one of your SDR’s every time a lead achieves a 150 lead score. 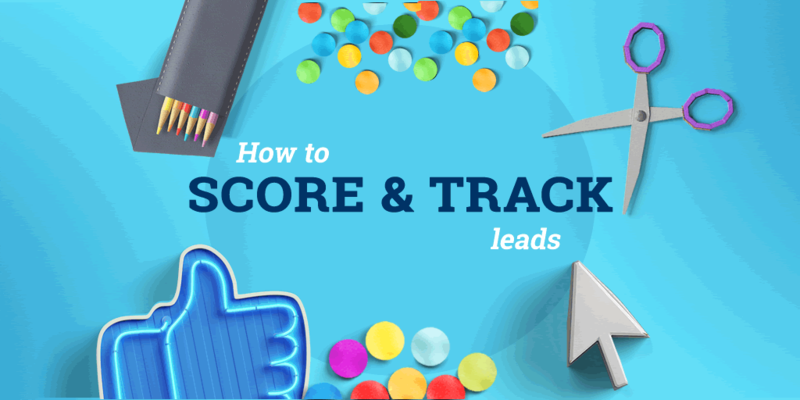 Hopefully this quick guide has helped give you a better idea of how lead scoring works, and how it can be used to empower your sales team and streamline your marketing process. Since the definition of a “quality lead” will differ from business to business, taking the time to define what actions, behaviors, and personal information matter most is the first step to building out a well optimized lead scoring system. Ready to start lead scoring? 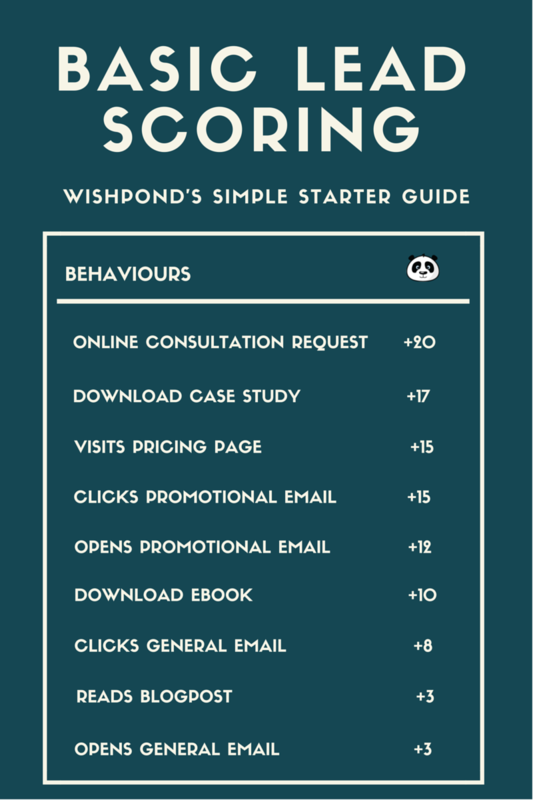 Check out Wishpond’s marketing automation platform and feel free to reach out to me on Twitter @mayoshrimp to help you get setup. Interesting article. Once I had to do sales when my coworker quit. There’re so many things to do and for a beginner, it’s a lot to take in. I used CRM systems, but then I didn’t know marketing automation. I imagine that with these two tools working together I’d waste less time. I’m using marketing automation with GetResponse rather for marketing centered actions, but I guess it’s good to know that it can make sales work easier too.